Mario Baptista was born on June 6th , 1969. Until the age of 12 he lived in a house so close to the river that he could fish from his balcony. So it’s sound evident that he started to fish very early, at the age of 6. 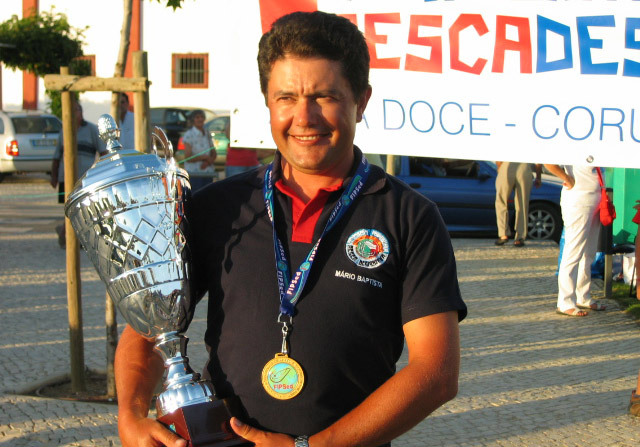 He practised coarse fishing starting at the age of 14 and 2 years later took part at his first competition, being part of the Academica de Coimbra Team. With this team he became Club Worldchampion in 1992 in Merida, Spain. In the same competition Mario became individual World Champion as well. During this event he defeated Roberto Trabucco too, and he was fishing the next peg. Mario and Roberto are very good friends since the vey first time they met, 25 years ago. In 1995 together with Mario Barros he established a trading company distributing the Trabucco brand in Portugal. This company still is the exclusive Trabucco distributor in Portugal.